A complete step by step tutorial on Model Binding in ASP.NET MVC. Hello friends,I hope you all are doing great and having fun with your lives. 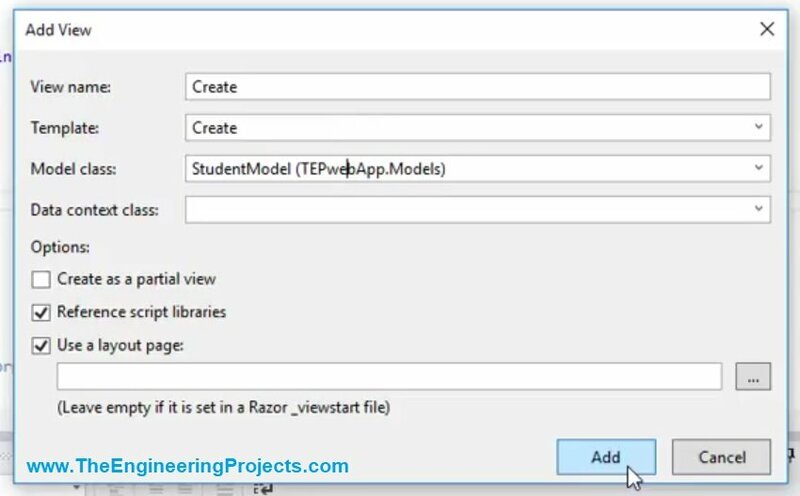 In today’s tutorial, we are gonna have a look at Model Binding in ASP.NET MVC. It’s our 13th tutorial in ASP.NET MVC series. Today, we are gonna discuss a new concept in ASP.NET MVC and it’s more of a luxury as it automates the job and makes our work easy. Model Binding in ASP.NET MVC is used to bind the data sent by the HTTP request with Model. You must have viewed during some form submission online, that when you click on the submit button then a form of data is sent by the HTTP string. This HTTP data is linked to the Controller’s action methods in the form of input parameters. For example, suppose we have an action method “public ActionResult Edit(int id)”, here the parameter int id could be used as a model binder. It may happen that this id value is coming from some HTTP request “http://localhost/Student/Create?id=10”. So, the model binders get data from View via HTTP request and then pass this value to Controller’s action method, which in turn shows up to models. 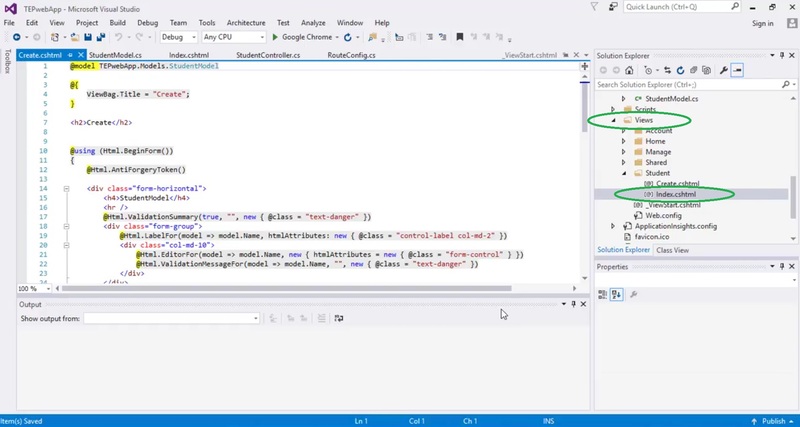 When we create a new form in ASP.NET MVC, then this model binding is automatically done by visual studio. Let’s create a new View and have a look at working of Model Binding in ASP.NET MVC. When you click on the Add View, it will open a New Window for Creating a View. 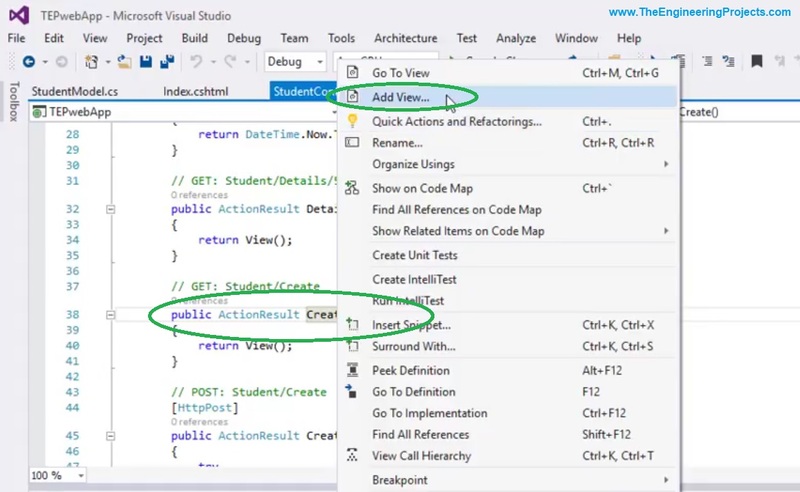 We have already seen it in How to Create a New View in ASP.NET MVC. So, here’s the screenshot for the settings, first I have given this View a name Create, then I have selected Create Template. 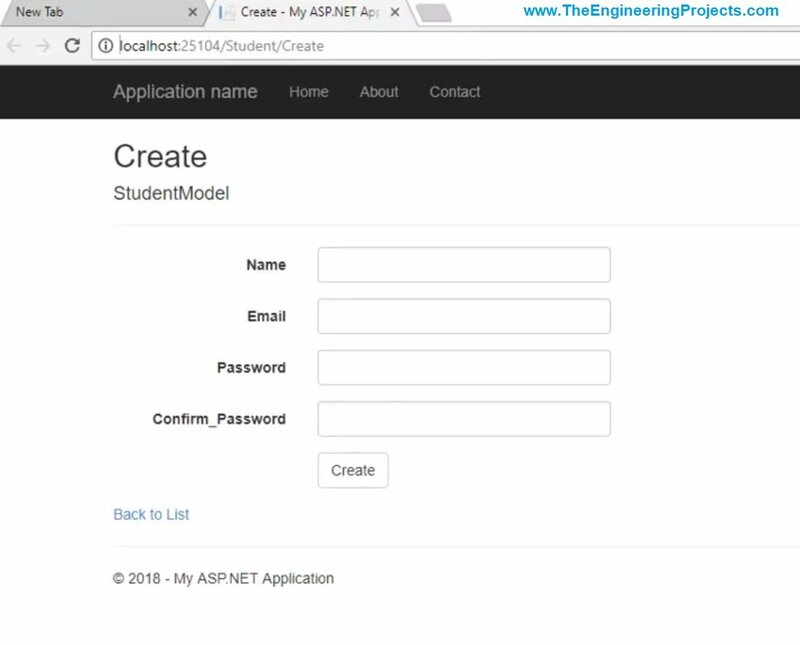 Finally, I have selected the Model class, which we have created in one of our previous tutorial: Create a New Model in ASP.NET MVC. After these settings, click the Add Button and a new View for the Create action method will be created. So, let’s open our newly created Model in the browser. 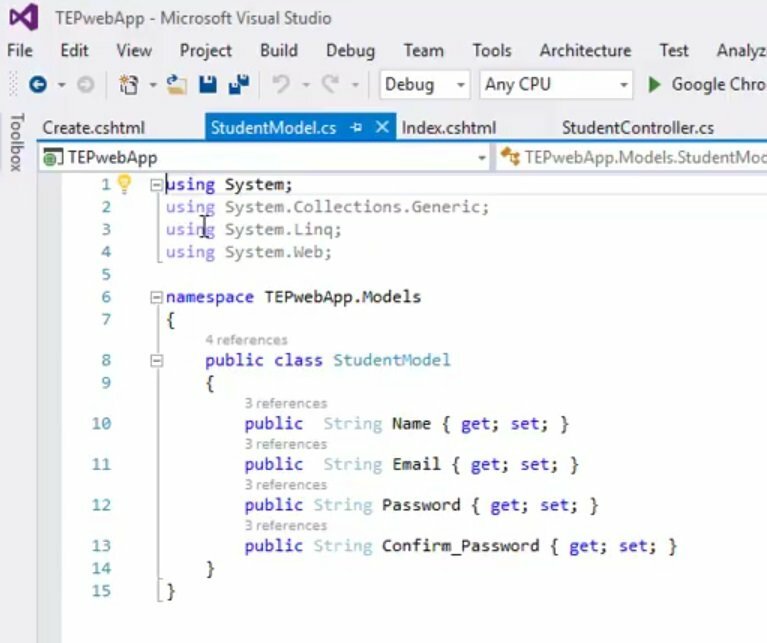 You can see in the above figure that visual studio has created the same four fields in the View which were present in the Model class. The data we will enter here will be sent to the model and then will be saved in the database. Code for the Model Binding in ASP.ENT MVC has automatically been created, which we have seen in Create.cshtml.